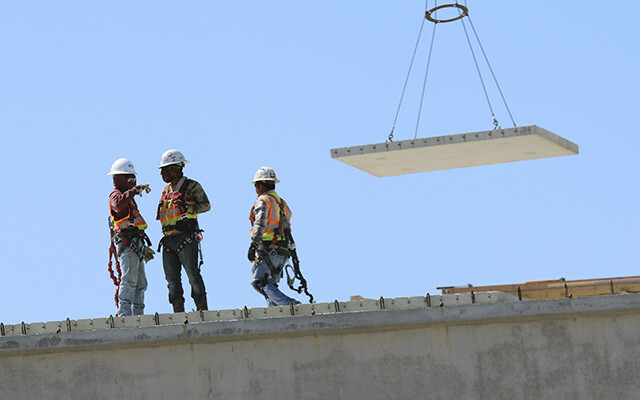 The I-35 bridge over Salado Plaza Dr. is expected to be completed by the first of June. 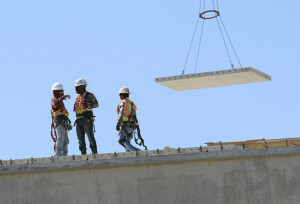 The underpass lanes will be open at that time as well, reported Mayor Skip Blancett on May 5. TXDOT just finished a traffic study of the Salado project, according to Jodi Wheatley, Public Information Officer for the I-35 in the Waco District. 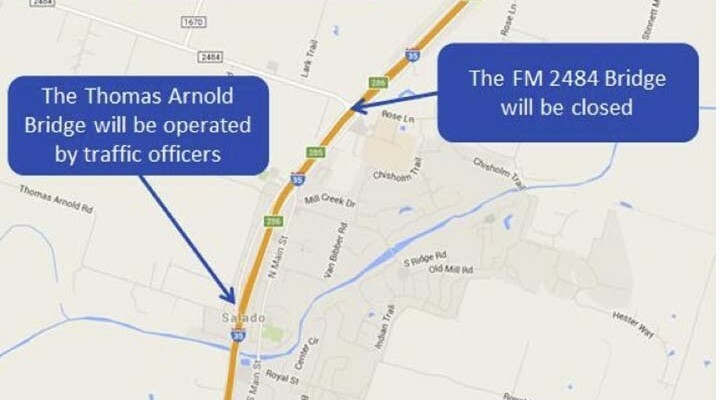 Salado — All I-35 northbound mainlanes in Salado, from Exit #283 (FM 2268) to Exit #286 (FM 2484) will be closed Tuesday night, March 29, from 9 pm until 7 am the next day. Northbound traffic will be detoured to the northbound frontage road, and will reenter the I-35 mainlanes north of FM 2484. The contractor will be moving concrete barriers, replacing a short section of cracked pavement and adding new striping. Local traffic is encouraged to seek alternate routes. Long delays are expected. 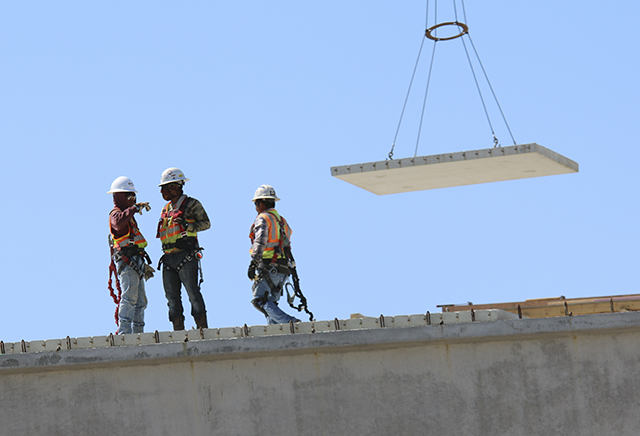 The Thomas Arnold Bridge will remain open to allow traffic to cross over I35. The FM 2484 bridge WILL BE CLOSED during this time. A Fedex truck with two trailers ran into the concrete barriers of the southbound mainlanes of I-35 early this morning, shutting down mainlanes in both directions. Seek alternative routes through Salado. 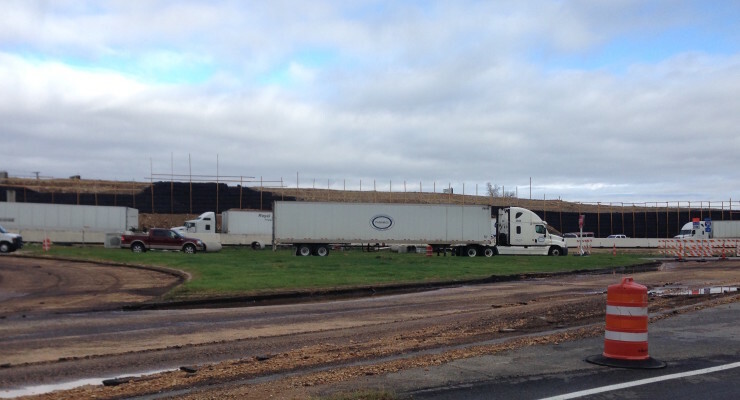 UPDATE at 10 a.m. Southbound mainlanes have opened and traffic on the access road, West Village Road, etc. is starting to clear. 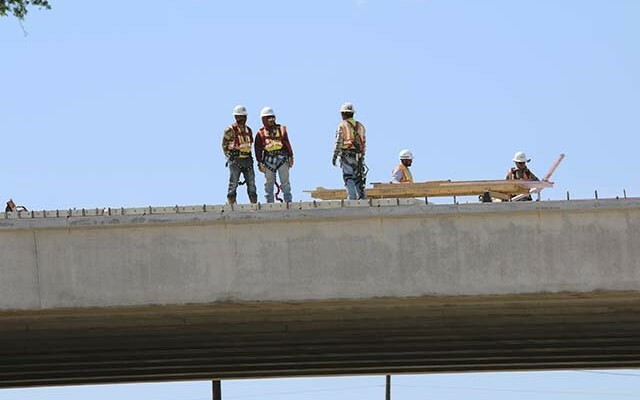 A contingent of Salado business and property owners met with officials from the Governor’s office this month to discuss the progress, or lack thereof, of construction on I-35 through Salado. TXDOT advises travelers going northbound on I-35 to seek alternate routes as there has been a crash with a fuel spill that has all lanes blocked in Salado. Traffic is being detoured to the access road. Traffic has also blocked Main Street through Salado. HAZMAT cleanup is required so expect a delay of more than 30 minutes. Jodi Wheatly, Public Information Officer for TXDOT, suggests an alternate route from Jarrell on FM 487 east to SH 95, then north to FM 93 then west back to I-35 in Belton. 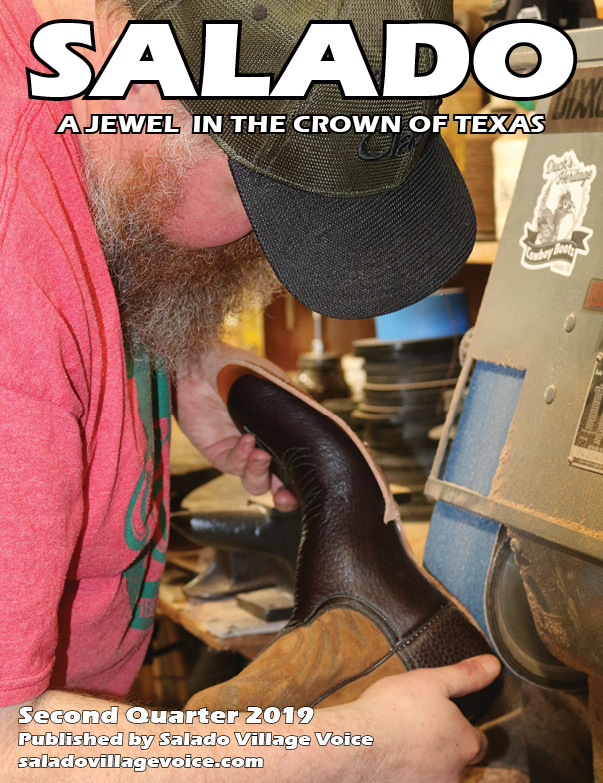 For those who are north of Jarrell, they should take exit 283 to FM 2268, turn right to drive 9.5 miles to SH 95, left left and drive 8.25 miles noth to FM 436, turn left and drive 9.25 miles west to I-35 and return to I-35 in Belton. 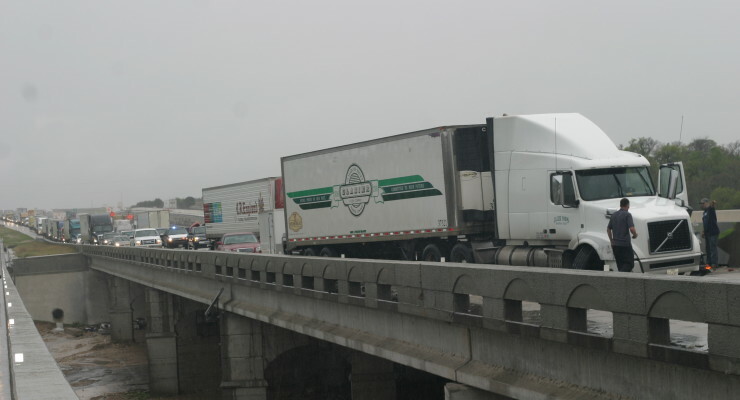 For the third time in as many days, an accident involving an 18-wheeler has shut down mainlane traffic on I-35 through the construction area of Salado. According to TXDOT, the accident involves two semi-trucks on northbound. This time an 18-wheeler has had its right front wheel come off, blocking both lanes of traffic on Northbound I-35 at Salado Creek. 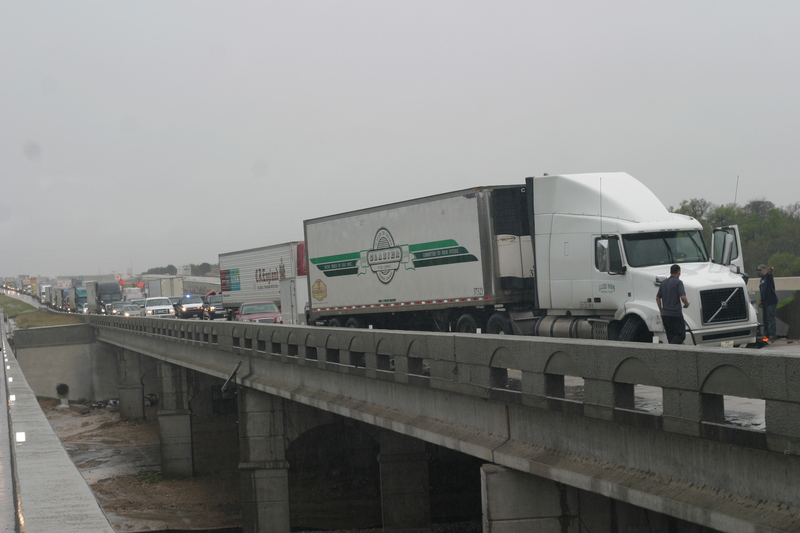 In order to reach the accident, first responders from Salado VFD had to travel down the SB access road to Thomas Arnold, cross over the interstate and head northbound on the access road and then turn down the northbound exit ramp and travel southbound on the northbound mainlanes in order to get to the accident. The accident happened at about 10:30 a.m. this morning (Fri. March 11). There is no indication from the TXDOT Public Information Office on when the accident is expected to be cleared. Meanwhile, traffic has flowed onto Salado’s Main St. through the direct exit on the northbound I-35 mainlanes and onto the northbound access road from the Holland Road exit. 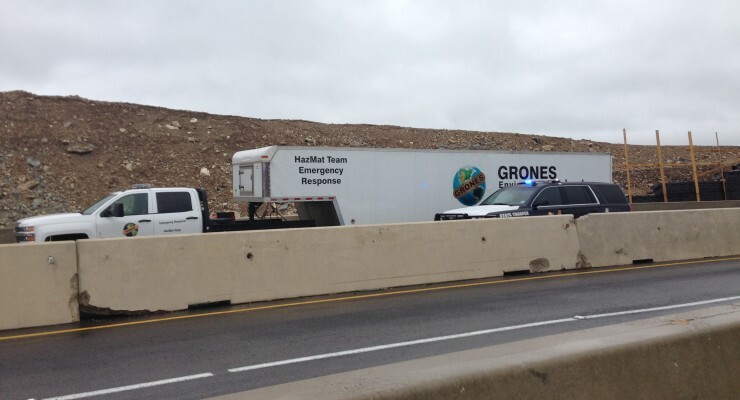 A wreck involving two 18 wheelers and an SUV on I-35 southbound, just north of Thomas Arnold Rd. exit has shut down the southbound lanes since about noon today (Wed. March 10 2016). 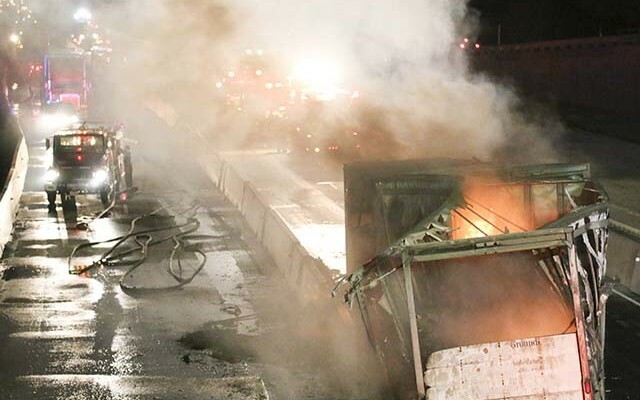 Crews are still working to clear the wreckage of two 18-wheelers involved in an accident about 2 a.m. Feb. 23 at the 285 mile marker (Salado Plaza Dr.) of the interstate.